Penning a memoir or writing a script? If you need to live in a nurturing, artistic community, look no further than Belsize Park, NW3. It's been the home of creative talent since the 1930s and the laid back, bohemian vibe continues today. 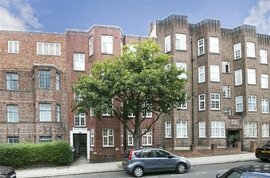 Why not browse our collection of properties in Belsize Park? Sharing a border with Hampstead, Primrose Hill and Camden Town, Belsize Park earns its French translation 'bel assis', meaning ‘well situated’. The town is loosely divided into a number of mini neighbourhoods, including Belsize Village, Belsize Park Gardens, Haverstock Hill, Eton Avenue, Glenloch, Primrose Gardens/Antrim Road and England's Lane. While the area itself is self-contained - with boutiques, restaurants, independent stores and great community facilities - walking distance to Hampstead Heath and Regent's Park add another level of desirability. Although you can trace Belsize Park's history back to The Manor of Belsize in 1317, it was in the 17th century that the town really came to the fore as a place to be seen. The Earl of Chesterfield elevated Belsize Park to a new level when he built a mansion and parkland for his then wife. What followed was the creation of an aesthetically pleasing residential neighbourhood mainly created between 1852 and 1878, yielding some fantastic period buildings. Belsize Park's character was recognised by Camden Council in 1973, when it agreed to make a large swathe of the neighbourhood a conservation area. The 20th century saw the residential dwellings inhabited by cultural giants, including Henry Moore, Piet Mondrian, Barbara Hepworth and Ben Nicholson. More recently, NW3 has welcomed Helena Bonham Carter, Tim Burton and Gwyneth Paltrow. Like much of North West London, there is a strong café culture that keeps the atmosphere friendly and village-like. England's Lane is the 'go to' place for good coffee or brunch, and Cinnamon and Chamomile are two of the best. For a taste of Italy book a table at the light, bright Artigiano on Belsize Terrace, while Jamon Jamon on Haverstock Hill is the place to head for a taste of Spain. The Stag Gastro pub has a loyal following, with a dizzying collection of beers, ales and ciders plus a massive outdoor courtyard that plays host to live music, DJs and barbeques. The Washington should also make your cut, with a seasonal British menu an extra reason to visit this wood-panelled pub. Belsize Park is so central that many of London's top destinations can be accessed on foot. For those who needed to travel further, Belsize Park Tube station in on the Northern Line, giving residents a rapid connection to the Euston/King's Cross/St Pancras transport hub. Belsize Park is also well served by three bus services - the C11, the 168 and the N5 night bus. If sitting at a Belsize Park pavement café watching the world go by wasn't fulfilling enough, the neighbourhood has some excellent facilities both in the vicinity and just over the border. The Everyman Cinema is one of Belsize Park's most celebrated features, with a fantastic choice of mainstream, arthouse and classic films, events and exhibitions. Antidote at Belsize Park's Old Town Hall is where frazzled urbanites go to sing, dance and laugh - with a handpicked selection of creative activities designed to counteract professional stresses. Those who like to combine passions often end up on the Belsize Walk - a two and a half hour meander from Primrose Hill to Parliament Hill, taking in the fine architecture and Belsize Park's conservation area. 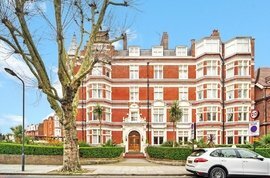 Spoilt for choice is an overused phrase but when it comes to property for sale in Belsize Park, purchasers really have the pick of London's finest. Belsize Square is home to some large stucco mansion, many of which have been divided up into flats. NW3's semi-detached Victorian villas are also much requested, especially by families wanting a prime position near the private schools in the area. Chalcot Gardens is home to some rare Arts & Craft detached houses for sale in Belsize Park, while the rows of detached period properties on Lancaster Grove attract attention from buyers and tenants. 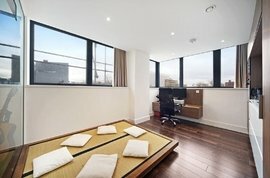 For mews-style living, head for Lambolle Place, Elizabeth Mews and Lancaster Stables. 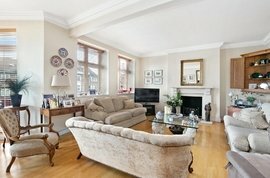 Belsize Park estate agents also handle the sale and let of some stunning Regency, Georgian and Queen Anne dwellings.